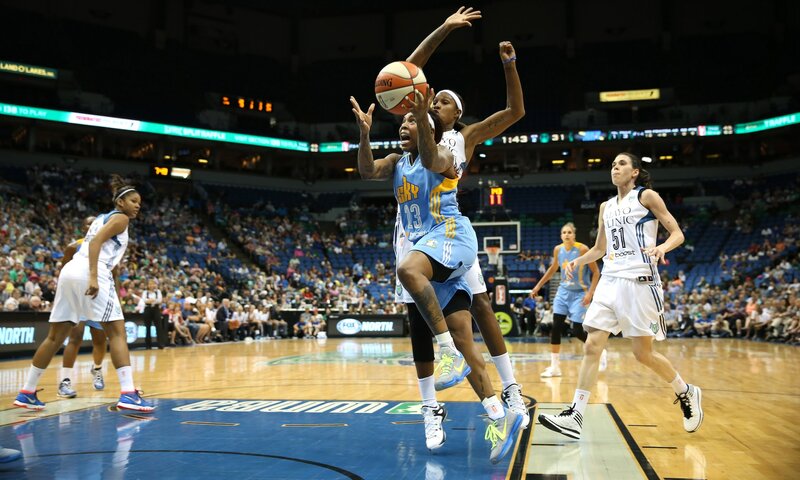 The Minnesota Lynx and Chicago Sky met in Target Center last night as two teams that were streaking. 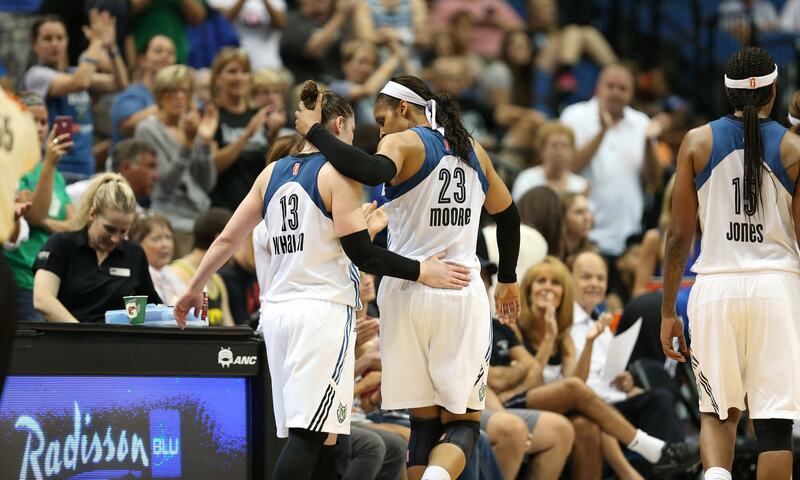 The Lynx were riding a two-game winning streak and hadn’t lost since losing to the Sky last Friday night. The Sky were the hottest team in the league and winners of four-straight games. 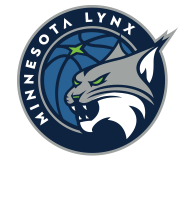 Though the game was tied at the end of the first-half, the Lynx defense suffocated the Sky in the second-half, outscoring Chicago 50-32 in the half. 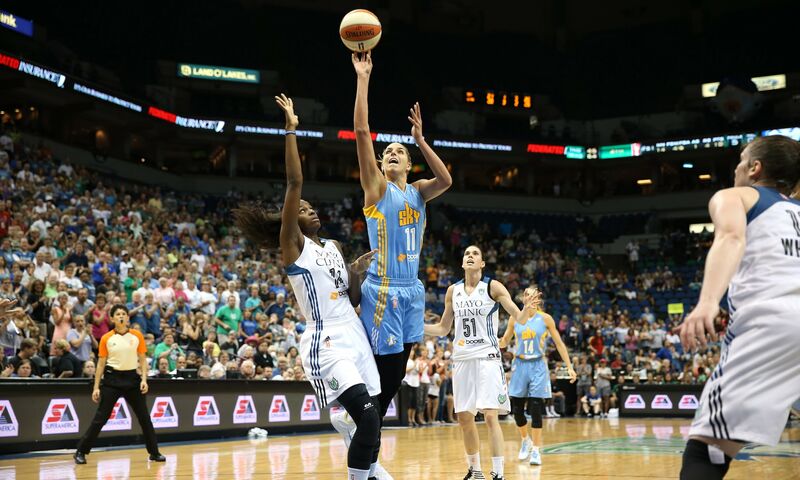 The Lynx went on to win their third straight game in a row, beating the Sky 84-66. There were multiple highlights and huge moments throughout the game, but here are just a few of the amazing photos from last night’s spectacular action. 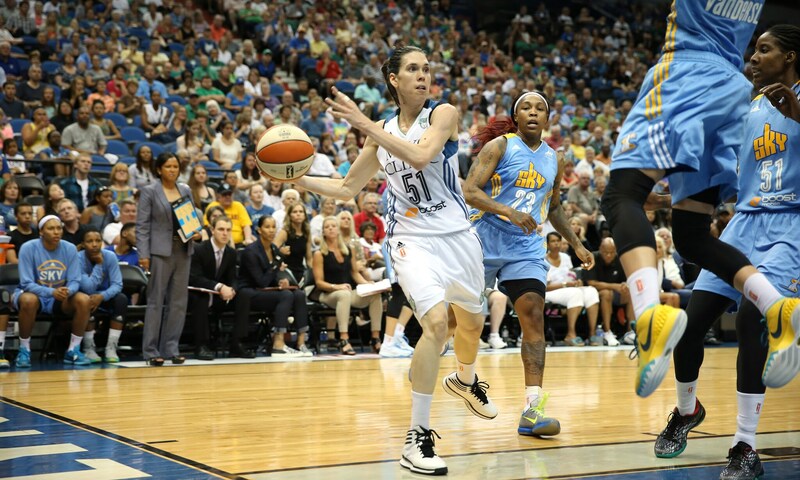 Sky guard Courtney Vandersloot simply could not get her offense going against a stingy Lynx defense. Vandersloot finished with just six points on 3-of-8 shooting to go with just three assists. Sky guard Cappie Pondexter entered last night’s game as the fifth-leading scorer in the league, but was held in check by Lynx guard Anna Cruz. Pondexter finished with just four points on 2-of-9 shooting and three turnovers. 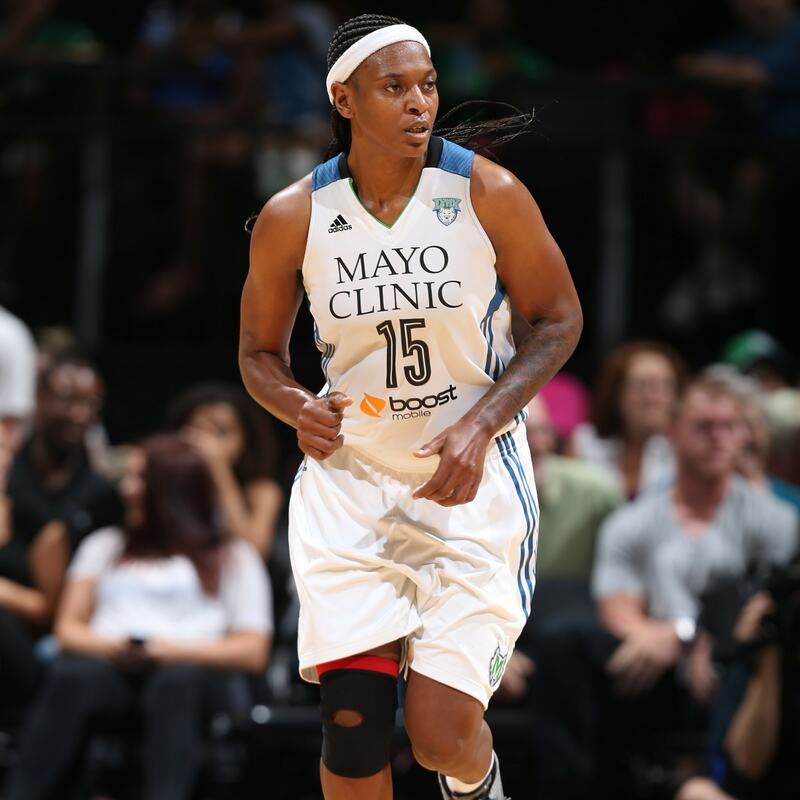 Lynx center Asjha Jones had her best game as a member of the Lynx, finishing with 12 points and 10 rebounds. Lyx guard Anna Cruz was a huge reason for the Lynx victory last night. Starting in place of the injured Seimone Augustus, Cruz finished with 16 points, eight rebounds and five assists. The Lynx were all smiles as they won their third-straight game and put an end to the Sky’s four-game winning streak, beating Chicago 84-66. 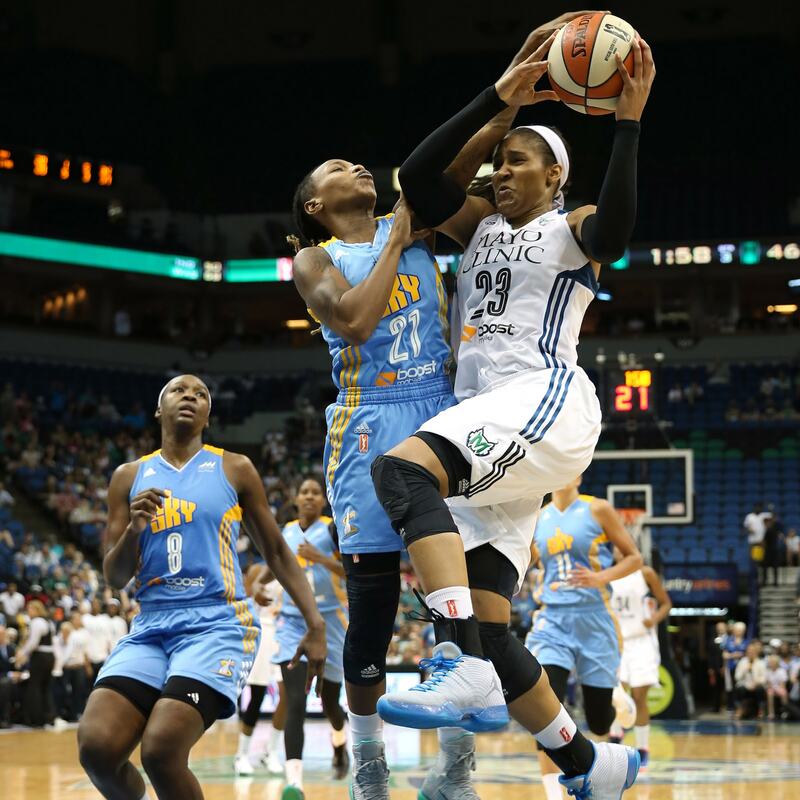 Sky forward Ella Delle Donne is the league’s leading scorer, but was held in-check by an impressive defensive performance by Lynx forward Rebekkah Brunson. Delle Donne finished with just 14 points and nine rebounds.